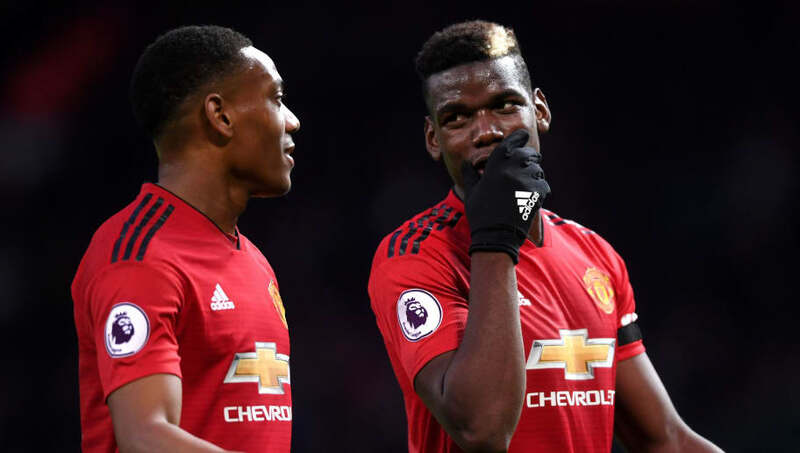 ​Manchester United manager Jose Mourinho has confirmed that Paul Pogba, Anthony Martial, Marcus Rashford, Marouane Fellaini and Romelu Lukaku are all available to face Crystal Palace on Saturday when Premier League football resumes. Pogba had been forced to miss the Manchester derby prior to the international break and was unable to represent France. Martial, United's in-form player right now, also had to skip France duty because of a slight injury, a cruel blow after earning his first call up in eight months. But both look set to be involved in this weekend's game, with Mourinho declaring during his weekly press conference on Friday that he has a 'huge group' to choose from. "Martial stayed with us, he didn't go with the [France] national team. He worked really hard. He was in a pre-injury situation, but worked really hard and he's going to play tomorrow. Fellaini is going to play," Mourinho said, via ManUtd.com. "Rashford came back [from England duty] with a little problem but he is ready. Lukaku is ready, with a little bit of a risk, but ready and Paul, we knew in this break he would recover so I don't think we have players who I can say are out of the game tomorrow." United pick up the domestic campaign looking to bounce back from defeat against rivals City in their last game. Victory over Palace, who have lost all nine times they have visited Old Trafford in the Premier League, could take United back up to sixth if other results are favourable. The team had been on a positive run prior to facing City and Mourinho made sure to praise fans for sticking behind the players and staff through difficult times this season. "The supporters cannot do more than they are already doing. We went through a difficult period and they were fantastic. In some matches they push the team to different levels," he said.